In your opinion, which of the following is the most iconic monster of all time? With the release of the new movie Kong: Skull Island, which features one of the biggest movie monsters of all time, we thought it would be appropriate to feature the biggest monster card set ever made. 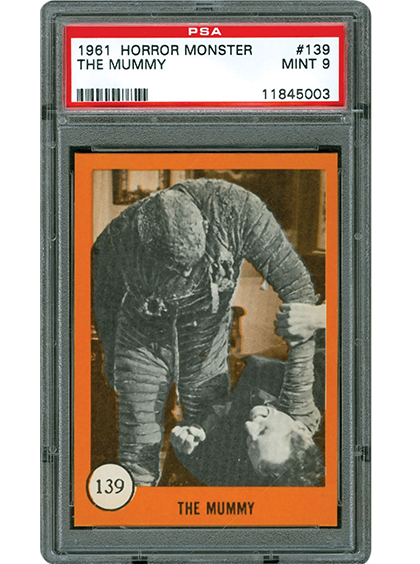 This 146-card issue, which used bright green and orange fronts, was released by Nu-Cards in 1961. It contains classic monsters that most people are familiar with to lesser-known creatures from some low-budget monster films of the period. In the next piece, we talk to collectors who pursue this fairly affordable vintage issue. During the 19th century, some of the most visually-appealing trading card sets were produced, covering a host of subjects from battle scenes to American Indian culture. The 1888 W. Duke, Sons & Co. Great Americans (N76) set is another that comes to mind. 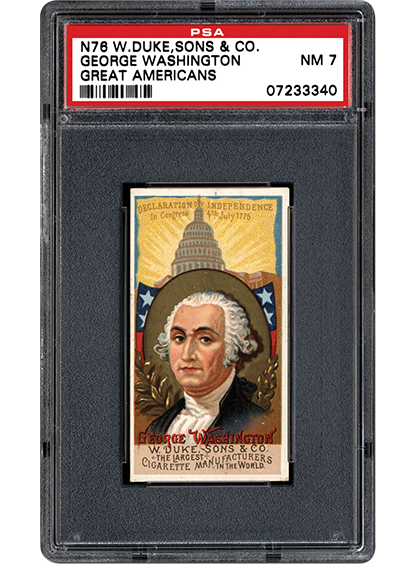 With the use of vibrant colors and attractive artwork, this modest-sized issue is one that captures the quality of card production from the era. In the following article, we break down this beautiful set, which contains everything from presidents to inventors. 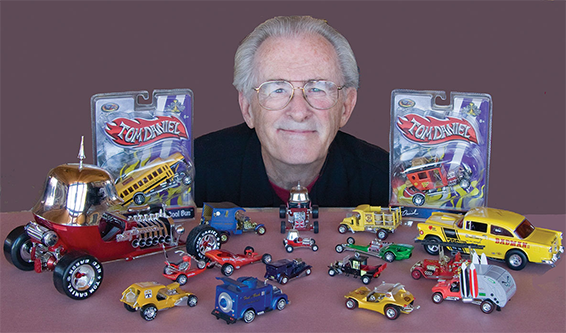 Most people will not recognize his name, but Tom Daniel might be important to you, especially if you are familiar with Monogram model kits and cards. The wild designs and vibrant colors captured the imaginations of kids everywhere. Daniel, who designed every card in the 1970 card set with the exception of one, was kind enough to spend some time with us and share his passion for custom cars. It’s definitely a product and a set that makes you feel like a kid again. By now most of you have experienced the brand new state-of-the-art version of the Registry! As part of our continued enhancements to the PSA Set Registry, you will no longer have to Commit to publish changes made to your set! Now, when you upgrade or add a card to your set, the system will automatically Commit the changes and you will be able to see the changes immediately. Should you encounter any trouble or have any questions, please feel free to contact us at [email protected]. As always, we welcome your feedback and continued support.